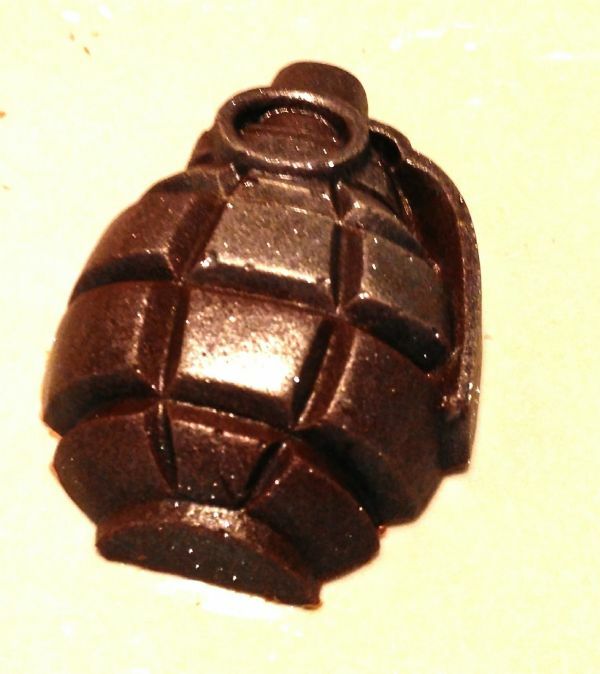 Chocolate grenades handmade to order using the finest Belgian chocolate. 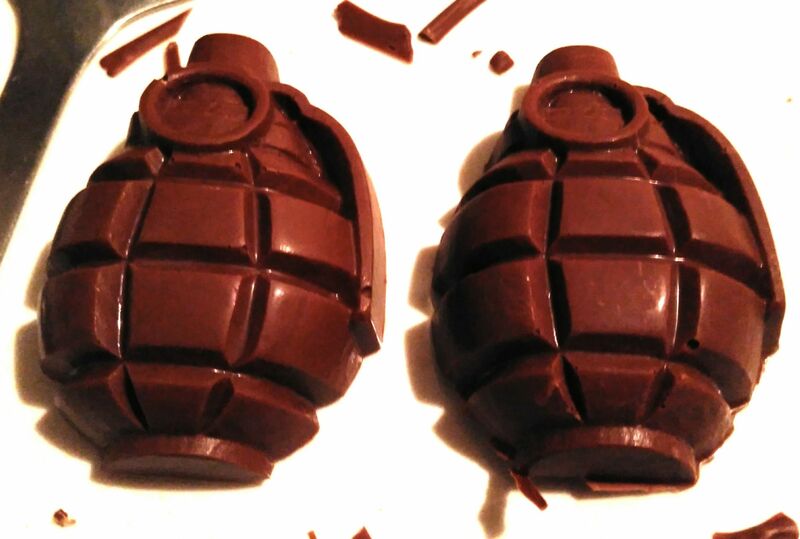 Each chocolate grenade is individually wrapped in cellophane. Personalised labels available at no extra charge. Also available in a silver or gold glitter finish. Great gifts for military or army personnel.